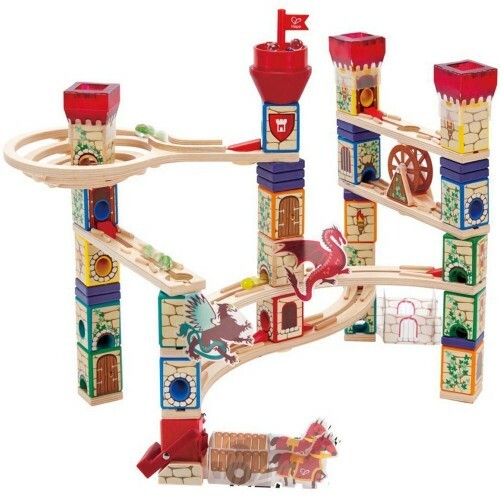 This medieval castle from Quadrilla marble runs collection is full of magical creatures, unique castle building blocks and parts, speeding marbles and fun adventures in engineering. 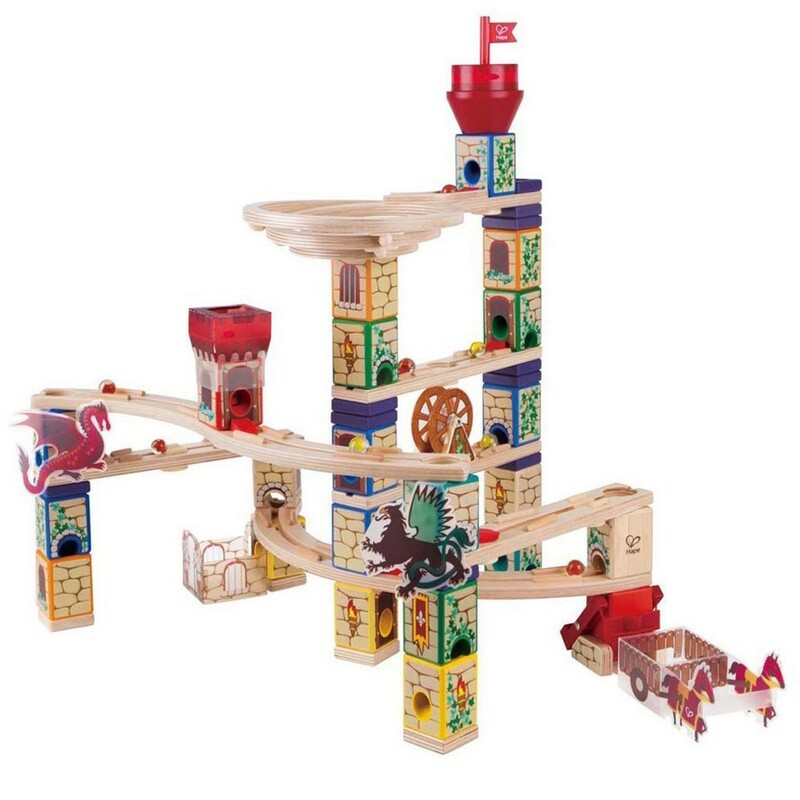 Help the fire breathing dragon protect the knight castle from the griffin! 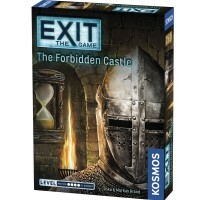 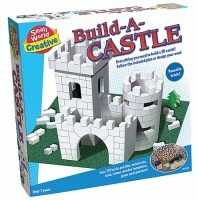 Calling all knights in shining armor - you are on a quest to design, build, and explore your own medieval castle. Magical dragons, mysterious doors, speeding chariots, turning wheel mills and running marbles are all over this royal castle. 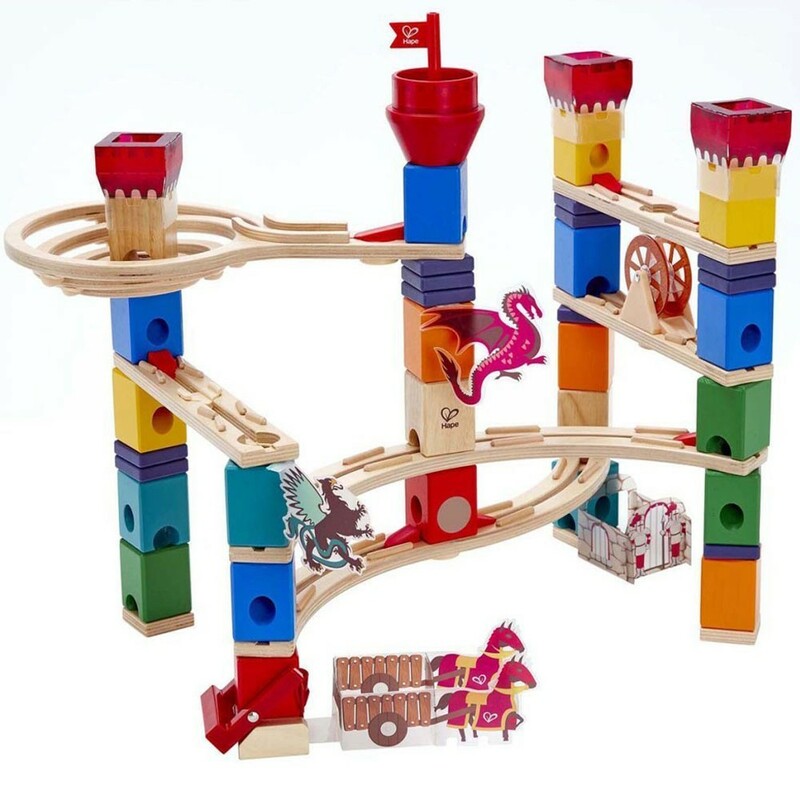 Quadrilla Medieval Quest 217 pc Wooden Marble Run is a new deluxe gift set that challenges the young builders, inspires big imagination, and lets the kids construct their own knight theme marble run. 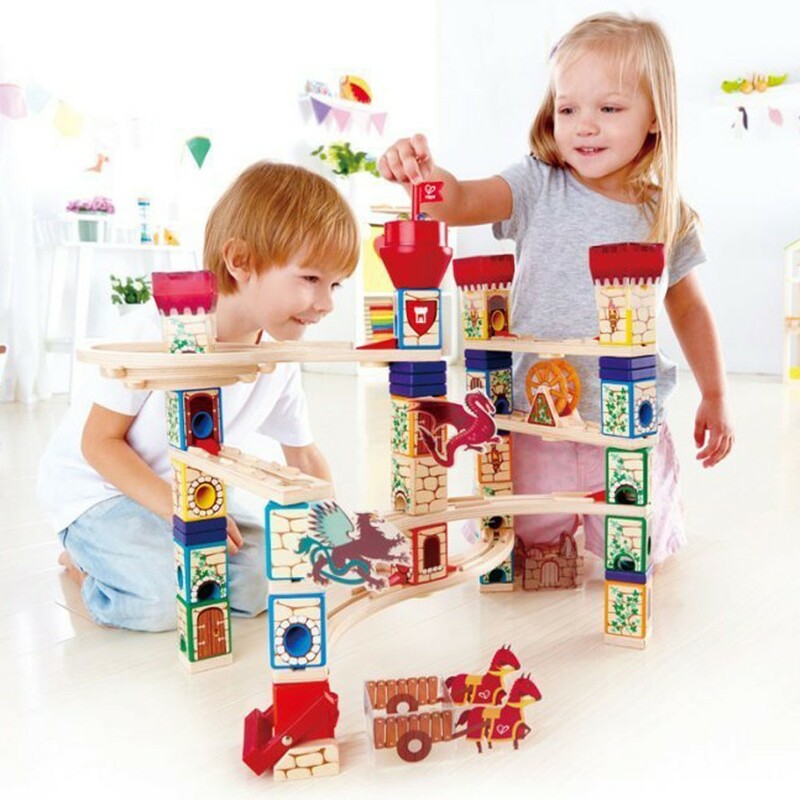 This exciting wooden block set from Educational Toys Planet includes 217 tastefully designed and colorfully illustrated wooden blocks, giving you everything you need to create your own magic story inspired marble run. 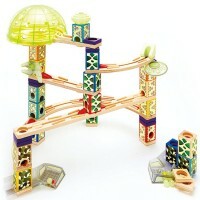 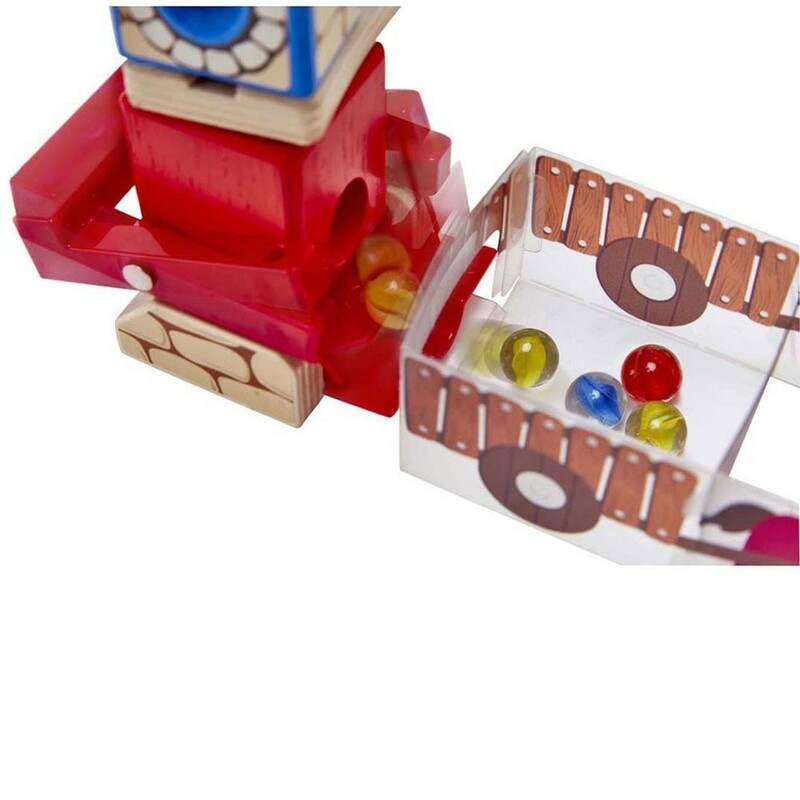 Follow the building ideas enclosed in this deluxe marble run set, or come up with your own castle constructions. 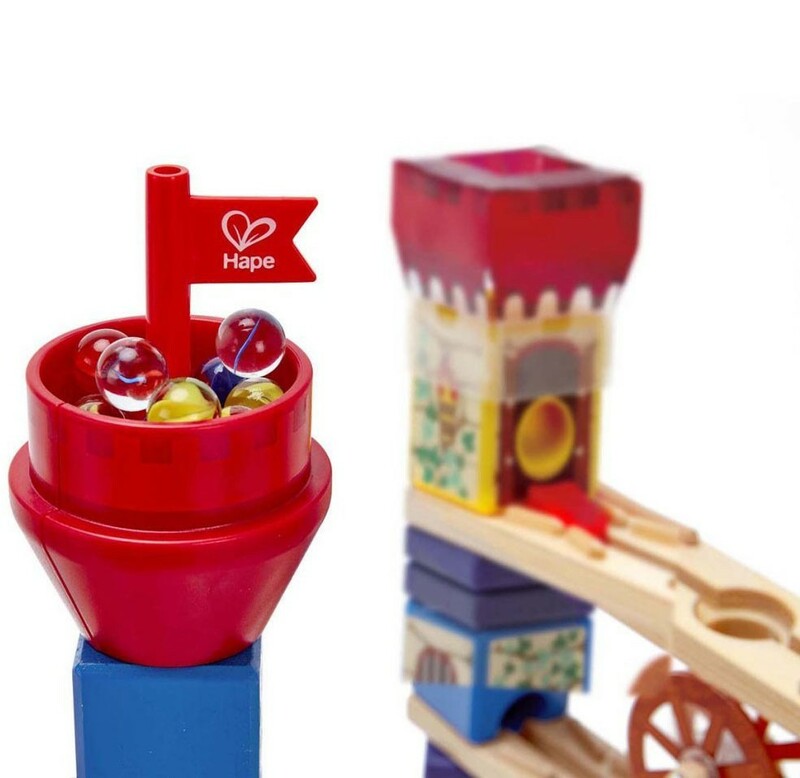 It's not only fun to build this knight castle, but to drop down the marbles on the top of the flag tower and watch them roll down the slopes of this full-of-medieval magic castle. 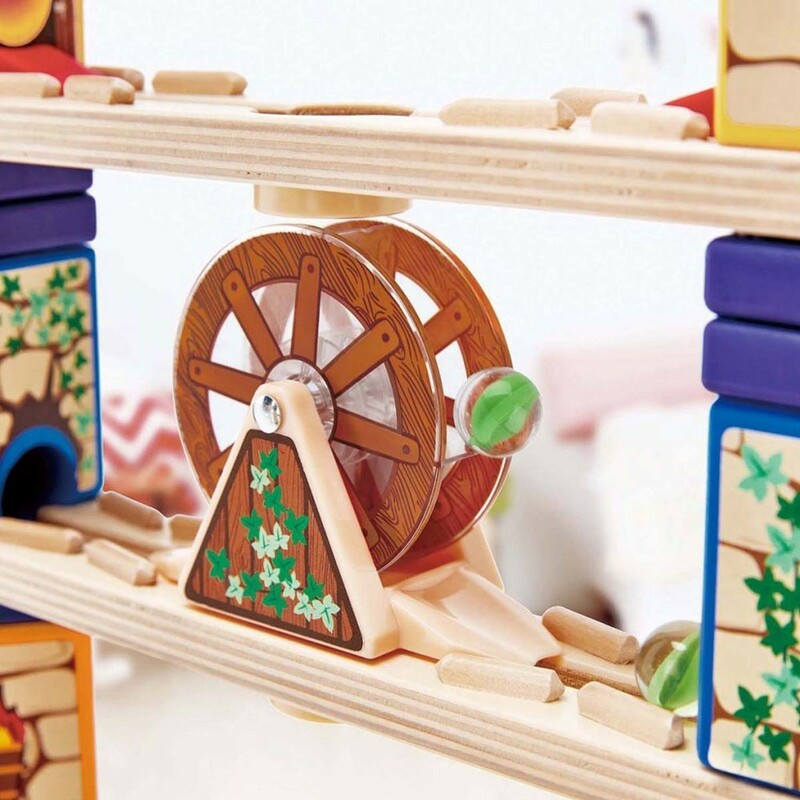 The new Quadrilla marble run is a thrilling way to engage your creative skills, motor skills, construction skills, storytelling and more. 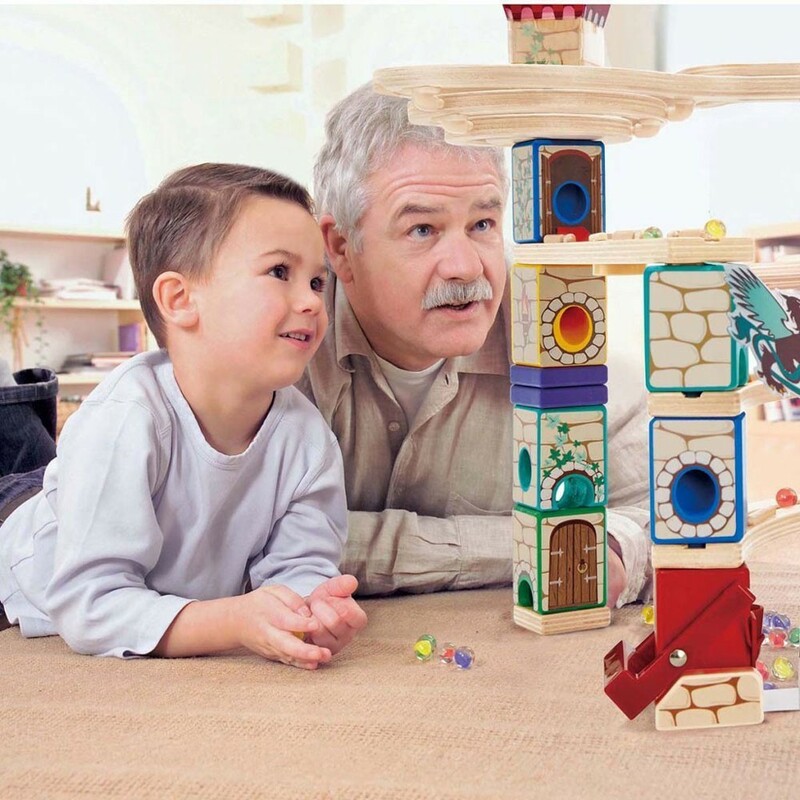 Get imaginative, and start creating your royal fort! 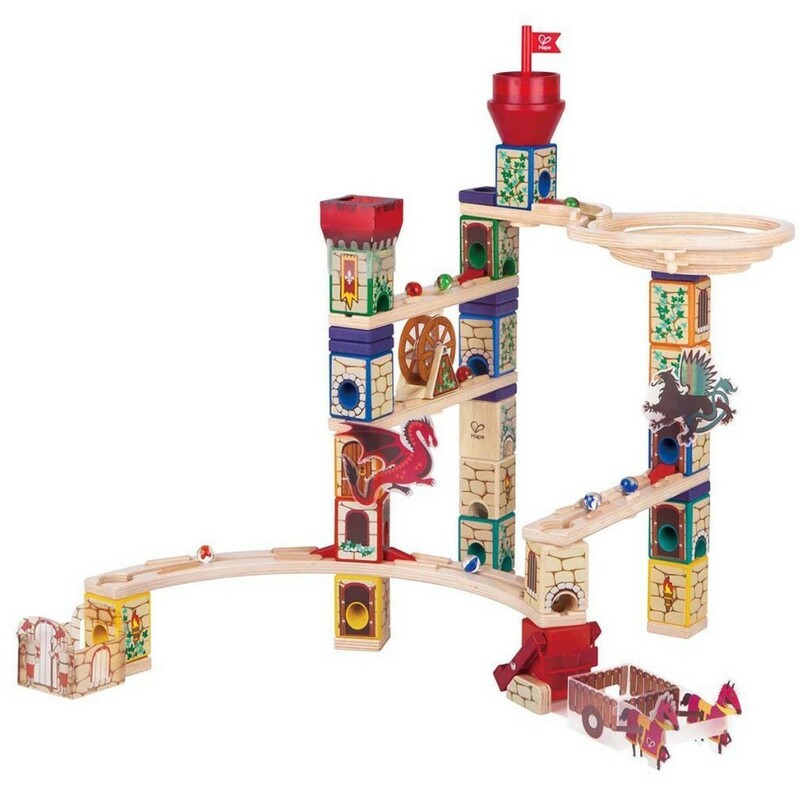 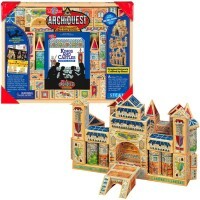 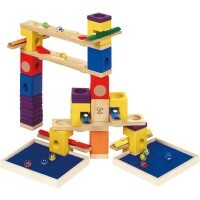 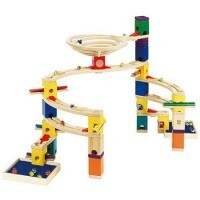 Dimensions of package 5" x 20" x 15"
Write your own review of Quadrilla Medieval Quest 217 pc Wooden Marble Run.